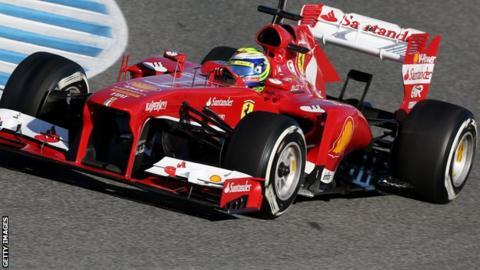 Ferrari have brought back Formula 1 design legend Rory Byrne to work on the car they will race in 2014. Byrne, 69, was the chief designer on the cars with which Michael Schumacher won all seven of his world titles, two with Benetton and five with Ferrari. Ferrari said Byrne, who has been working on road car projects as a consultant, would provide "operational support" to the design team. F1 is introducing its biggest set of rule changes in decades for next year. The current 2.4-litre V8 engines will be replaced by 1.6-litre V6 turbos, energy recovery will be a much greater factor in performance and the chassis rules have also been tweaked to help increase efficiency. Byrne's new role is an indication of how seriously Ferrari are taking the project - and the determination they have to make no mistakes in ensuring they have a competitive car in 2014. The South African is the only figure whose achievements can compare with those of Red Bull's Adrian Newey, who is widely recognised as the best designer in F1, over the last two decades or so. Byrne and Newey share a remarkable record - from 1992 until 2004 every single world championship was won by a car on which one of them had led the design. Byrne officially retired at the end of 2006, but has been retained by Ferrari as a consultant. In recent years he has been working on the new Ferrari Enzo hypercar - an ultra-high-performance road car. Byrne was called in to look at the 2012 F1 car after it had a troubled start to its life but this is believed to be the first time since 2006 that he has had a major role in the design of an F1 Ferrari. At the launch of this year's F1 car on 1 February, he told the German magazine Auto Motor und Sport that he was working "full steam ahead" on the 2014 car. His presence does not change the normal Ferrari design structure and he has no official title. Ferrari describe him as "an extra pair of hands and eyes, if you like". Byrne is working as part of a team led by chief designer Nikolas Tombazis under technical director Pat Fry. The co-ordinator of the 2014 car under Tombazis is Italian Fabio Montecchi. BBC F1 technical analyst Gary Anderson said: "Ferrari's chassis people are relatively inexperienced but obviously very clever. Byrne can bring stability to the project by keeping an overview on everything and perhaps putting the brakes on some of the exuberance of youth. "Sometimes, very clever but inexperienced people can head off down a route that will be better on paper but won't work so well on the track. Rory's experience would be very helpful on that front."